One of the two front modules showing the view west from Wallerawang Junction station. The road bridge has been completed to a preliminary stage and will be finished once the basic scenery layer is applied. The scenic foundation has started, with polystyrene foam cut and glued into place. This will then be shaped to form with a layer of paper towel soaked in plaster then laid over the top. The wiring and control panel on this module has been completed. A test shunt with a 48 class loco has confirmed that all track and point motor wiring is operating as expected. However, since these tests, we have decided to change from Peco point motors to Tortoise point motors, for their slow action and built-in auxiliary electrical switches. The change means that electronic circuits are required to interface the point motors with the pushbutton controls used on the control panels, and with the diode matrix route control of the storage yards. A circuit has been designed, and a prototype circuit board is currently being built and tested. 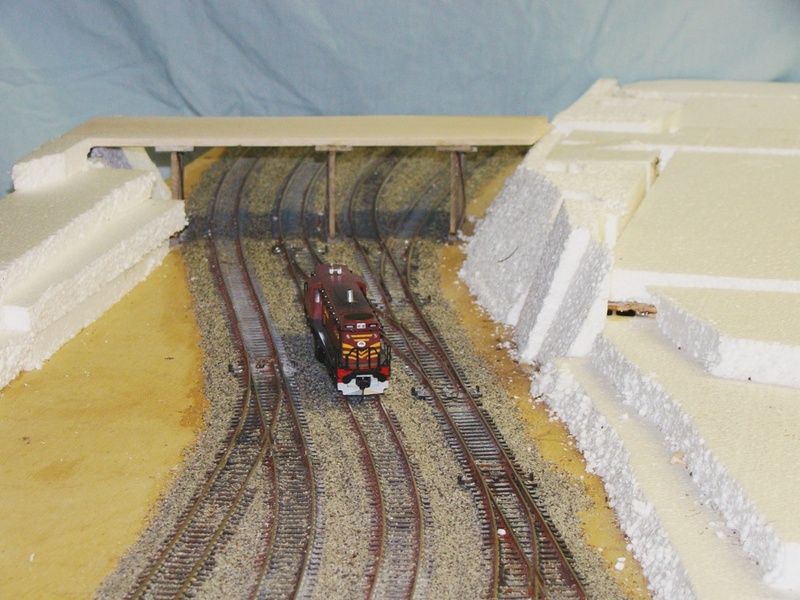 View of the same front module showing the goods shed and loading dock, which have also been scratchbuilt. 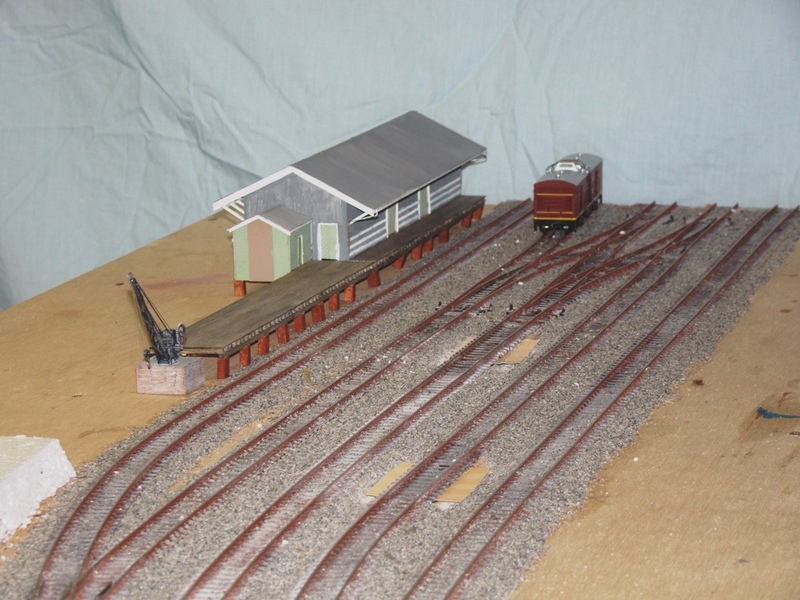 During the winter the Goods Shed and loading platform were completed. These two items were built from the original plans, using numerous photos and measurements taken of the real thing. The materials used are scale lumber, strip styrene, and balsa. The brick piers are made from resin, cast in a home-made casting mould.